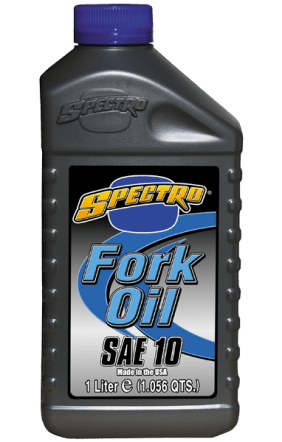 Spectro fork fluids are designed specifically for both conventional and inverted cartridge forks. Blended high V.I. base oils combined with anti-foaming additives and an anti-wear additive system fight fade and wear due to both heat and aeration. “Zero stiction” additive package and anti-foaming system for use in Kayaba, Showa and Marzocchi forks.